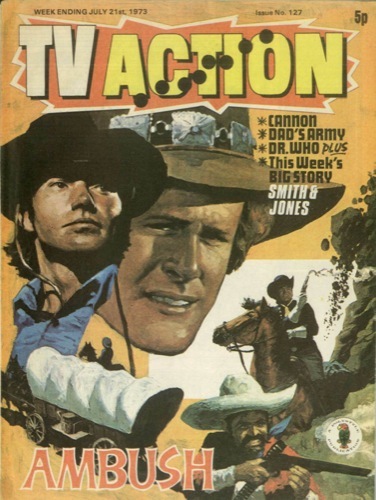 Exactly forty years ago this month, TV Action comic had The Doctor starting a new adventure, Dr Who In The Vortex. 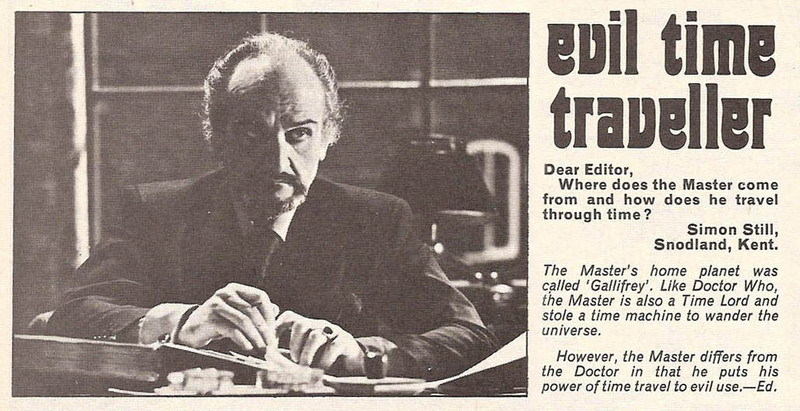 In issue 126 reader Simon Still wrote in to ask about the origins of The Master. 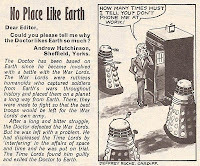 His Time Lord status is the answer. 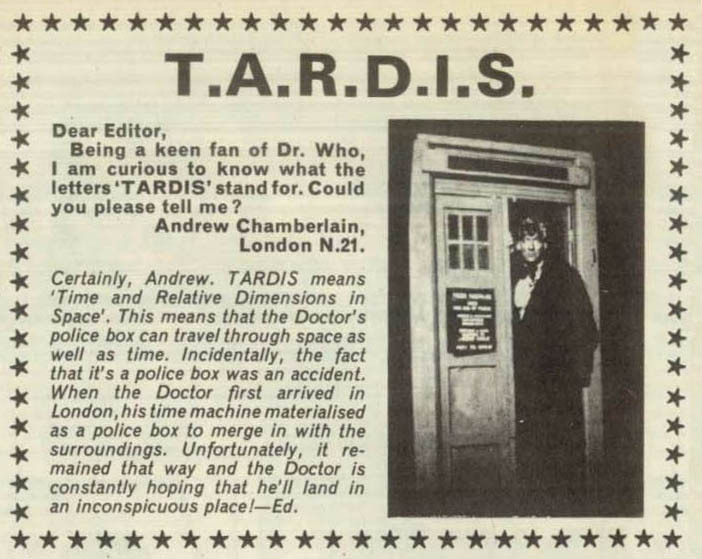 In issue 127 reader Andrew Chamberlain wrote in to ask what TARDIS stands for. 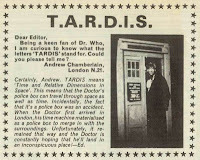 Everyone should know that answer! 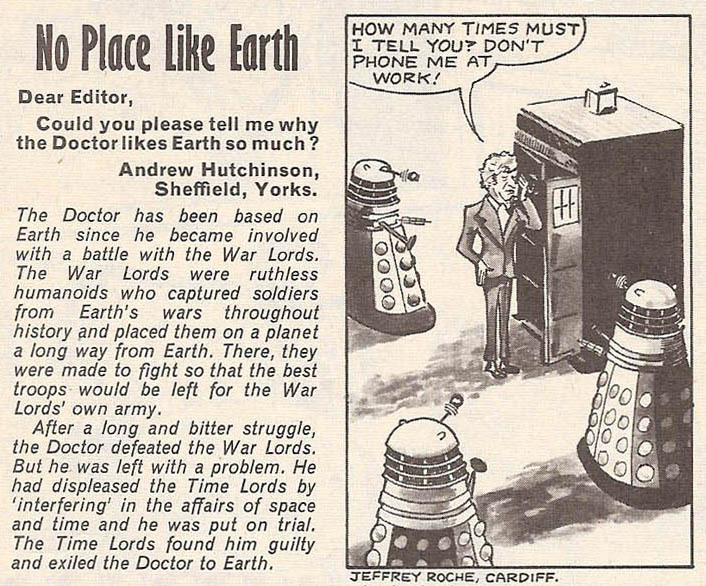 In issue 128 reader Andrew Hutchinson wrote in to ask why The Doctor likes Earth so much. 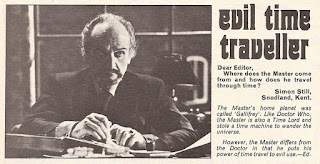 A recap of the event of The War Games explains the situation. 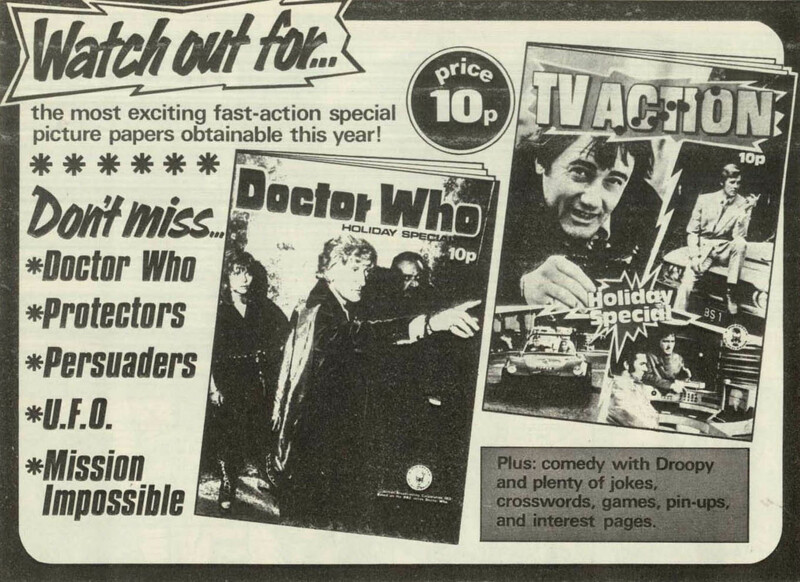 Issue 125 and 128 have a half page advert for the 1973 Doctor Who Holiday Special - price 10p! 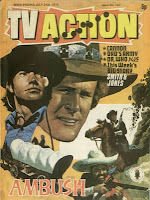 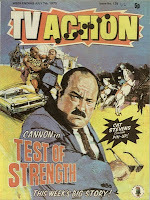 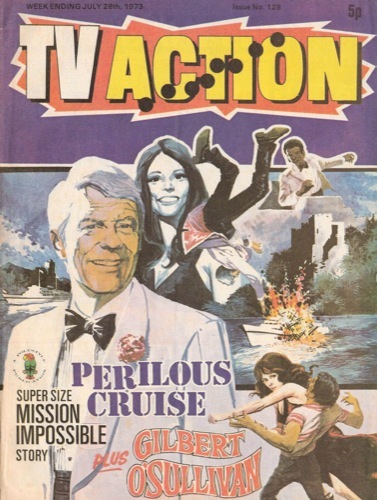 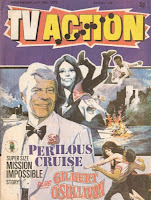 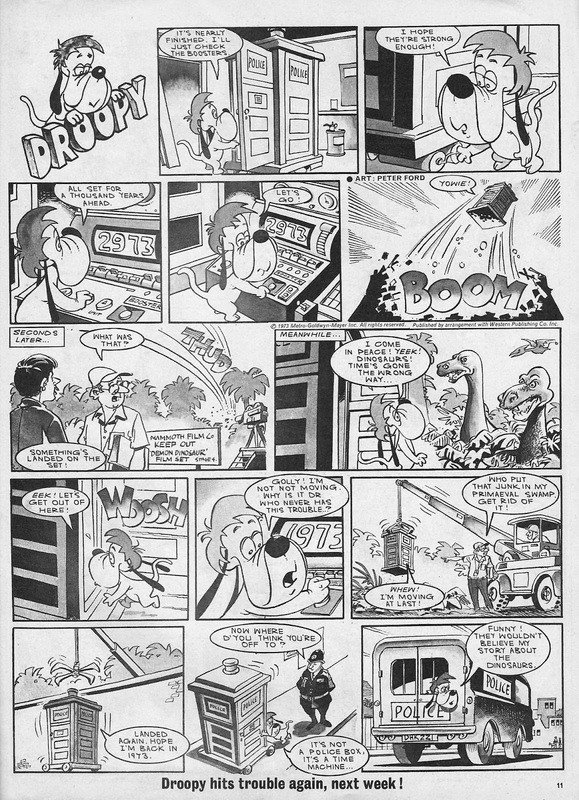 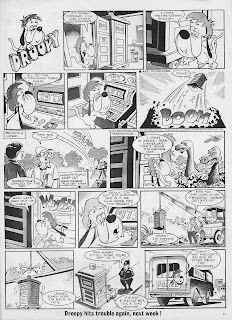 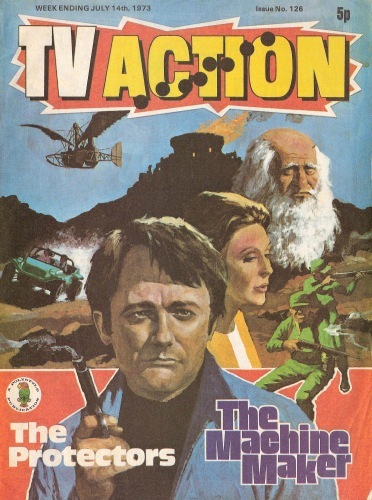 But the jewel of July 1973 has to be the Droppy / Doctor Who cross-over comic strip!